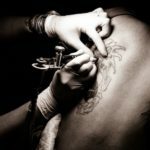 In the past, laser tattoo removal suffered from a bad reputation with many people believing it didn’t work or would take numerous sessions to make a difference. However, laser technology has improved and contributing factors to tattoo removal are now better understood. Things like skin tone and ink quality as well as the size, location and age of the tattoo are all taken into consideration. However, you might be surprised to hear that sun exposure is another important factor that affects the success of laser tattoo removal. Even though Andrea Catton uses the latest PicoSure machine, which has transformed the process in many ways, sun tanning and ultraviolet (UV) radiation exposure can still be consequential. So if you’ve got any concerns about sun exposure and tattoo removal, be sure to read through the following frequently asked questions. How does the sun affect laser tattoo removal? Exposure to ultraviolet radiation from the sun increases the production of vitamin D and melanin in our bodies. Vitamin D can help us absorb things like calcium and iron, increase metabolism and regulate our immune system. But it is in fact melanin that soaks up radiation and causes our skin to turn brown. However, increased levels of melanin pigment in your skin can make you liable to burns. So when it comes to laser tattoo removal, your skin might not be as strong, protective or receptive as it could be. Can I have laser tattoo removal after a holiday in the sun? No and ideally the tattoo will have been out of the sunlight for at least six weeks. In order for laser tattoo removal to work effectively, skin colour needs to be natural and healthy. This will give us the best chance of removing your tattoo in the fewest sessions possible. If you have a dark tan, it might take several attempts to remove and you could suffer from future problems. Will laser tattoo removal be effective on tanned skin? To some extent, but it will be far less effective. With an increased level of melanin in your skin, it is more difficult for the laser removal technology to break the pigment up. Even though we use the newest PicoSure machine on the market, which usually only requires 4-6 sessions to remove a tattoo, tanned skin makes the redistribution of ink through your blood stream a lot harder to achieve. Don’t worry, this ink won’t stay in your blood for long and eventually escapes through pores and body waste. Again, this is not recommended, as you could be coming back time and time again for multiple sessions when only half a dozen are actually required. Although we want to remove tattoos quickly and effectively, our main concern is your health and well-being. This is more difficult if your skin has absorbed products containing toxins. Some fake tans contain activators that can react with laser treatment and lead to skin pigmentations. Therefore, do not use fake tan products for at least two weeks before or after treatment. 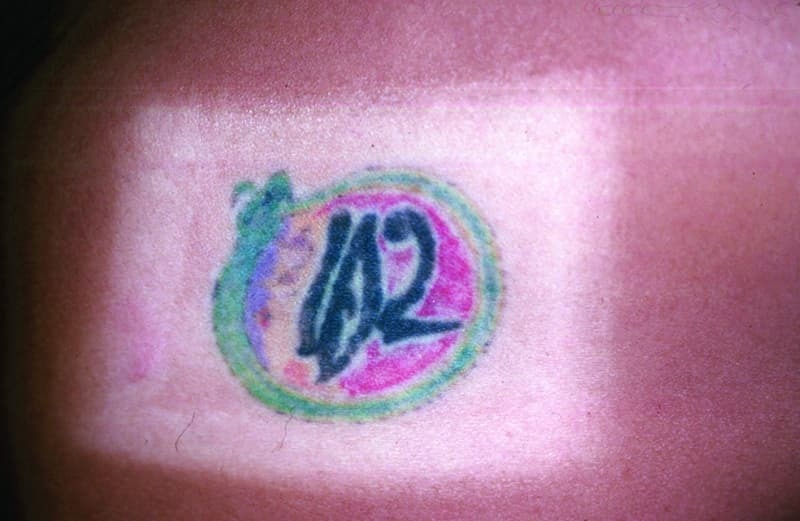 Can I go on the sunbed after tattoo removal? Wait at least four weeks before using a sunbed after laser treatment. 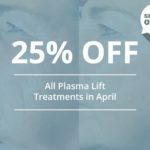 There is a chance that you will need to undergo further laser removal sessions anyway and exposure to artificial sources of ultraviolet radiation will make the whole process longer and harder. It may even cause premature ageing on sensitive areas of skin, which might look even worse than the original tattoo. Can I go in the sun after tattoo removal treatment? Again, wait at least four weeks before going back in the sun. After all, you wouldn’t want to risk the significant process of removing a tattoo with just a few days in the sun. You’ve got plenty of time to get a bronzed and beautiful complexion, but the recovery period immediately after laser treatment is crucial. If you cannot avoid the sunshine, keep it loosely covered whenever possible. However, restrictive clothing or excessive friction can also hinder the healing process. Try to limit sun exposure to a maximum of 10 minutes at a time. 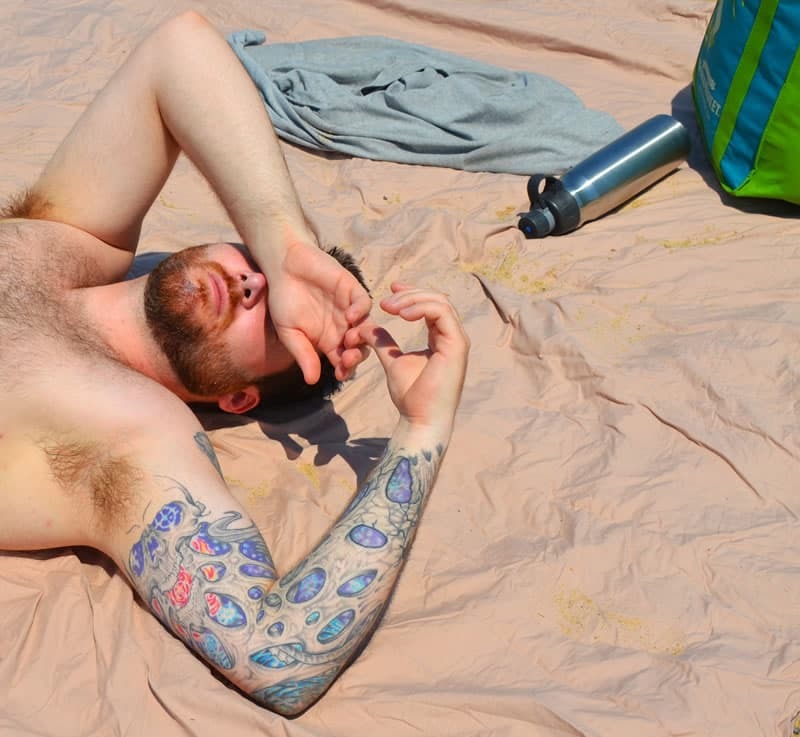 Tattoo that has been covered up whilst exposed to the sun. What will happen if the treated area is exposed to sun? As we mentioned before, exposure to ultraviolet radiation from the sun increases levels of melanin. In turn, this can lead to pigmentation marks in and around the area where the tattoo was removed. If for any reason you suffer from broken skin or blisters after laser removal, getting sunburnt will be an incredibly painful sensation and could cause permanent scarring. Unnecessary heat from any source, which includes baths, saunas, steam rooms and Jacuzzis, are to be avoided. It is not recommended to have any unnecessary exposure to the sun before or after you undergo laser tattoo removal. Not only will it impact on the procedure’s effectiveness, it could make the entire process much longer. The majority of people like to get a tan and show off their bronzed body, but you only need to wait a couple of months during the treatment and healing process to soak up the sun once again.